When having a home security system or alarm installation carried out in your home, there are a few things to think about. 1. Are the alarm installation company licensed . 2. Can the alarm installation company provide references . 3. Did the alarm installation company do a free survey. 5. Do the alarm installation company provide twenty four hour back up. 6. 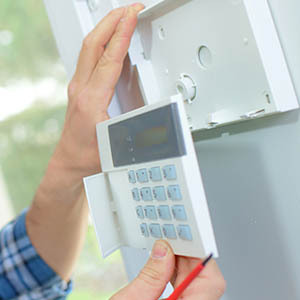 Have the alarm installation company installed any home security installations in your area . Esp are a fully licensed member of the NSAI and the PSA .It is illegal to install alarm systems if you are not a licensed company. As a leading alarm installation company for over twenty years ,we can supply any customer with a list of references for previous alarm installations or any home security systems we have installed. Esp carries out a full survey of all properties before we recommend what security installation to install,This is a free service. Esp Security install HKC Panels on 99% of all alarm installations for over sixteen years HKC are located in ballymount in Dublin, so its great to know that when we use a very reliable alarm panel we are also helping to keep jobs in Ireland . All alarm installation companies must provide 24 back up for all home security installations including cctv installations, intercom installations, and security lighting installations. Esp is proud of the amount of work we receive by “word of mouth” it is a very large part of the alarm installations we carry out each year, and proof to we are doing a great job for our customers. Protection for your home and family is not an easy decision. Why not give ESP a call to discuss and find out what would be the best home security system package for your home. We will endeavour to combine the best price with the best equipment and service. We install premium security hardware and home security products, and have the most flexible range of monitoring services, including cellular monitoring, two-way voice monitoring and more. We provide an extensive selection of wireless home security components. And, our home security packages are designed to fit most any budget. Let us help you find the right system for your needs, so you can start protecting your home and family today. All Wirefree Alarm Equipment runs on batteries and as such will need to be replaced.